If you got a traffic ticket in Arizona, wave uncertainty goodbye because we have summarized the choices available to remedy your Arizona traffic ticket, including the steps you need to take for each option, like attending an AZ defensive driving school. If you get pulled over for speeding or failing yield, unsafe lane changes, or similar traffic-related violations, you can get charged with a civil traffic moving violation. Unless it's your lucky day, the police officer will write a ticket and ask for your signature. 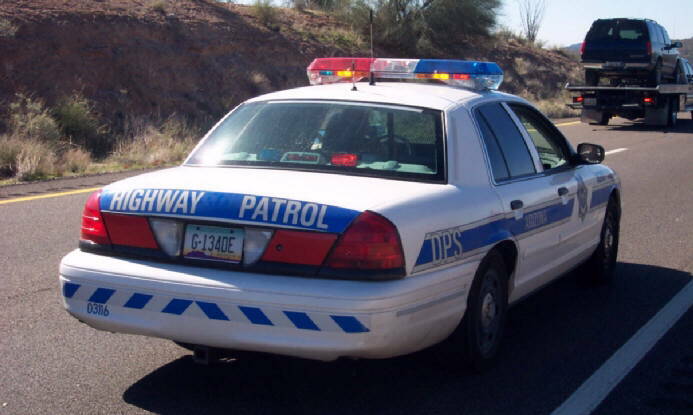 By signing the ticket, you promise to resolve the ticket by either appearing in court or paying the fine by the Court Appearance Date indicated on your ticket or by completing an Arizona traffic school at least seven (7) days prior to the Court Appearance Date indicated on your ticket. You may receive a ticket for non-moving violations that are unrelated to how you were driving; these types of tickets are also known as 'Repair Orders' because you are being ordered to make certain repairs to make your vehicle in legal driving condition. Once you receive a Repair Order, you may only drive your vehicle to your home or business if your home or business are within 20 miles of where you received the order, or to a garage to get the problem fixed. Per A.R.S. 983.C, you may not drive your vehicle until your vehicle has been properly repaired per the Repair Order. Statement signed by you which certifies that you have corrected the problem. In addition, each Court has different requirements regarding whether or not you need to pay a fee if the Repair Order is fullfilled. Check with your specific court in this regard. Once the DPS has received your Certification of Correction or Adjustment of Illegal or Faulty Equipment and pay a dismissal fee (if applicable), the charges will be dismissed. When you get a traffic ticket in Arizona, you must make a decision and take the proper steps at least seven (7) days prior to the "Court Appearance Date" on your ticket or your driver's license may be suspended or a warrant may be issued for your arrest. Attend Arizona Defensive Driving School. If you are eligible to attend an AZ defensive driving school, this is the best option because points for the violation will not be assessed to your driving record, your insurance rates will not increase, and you can refresh your knowledge about important traffic safety information, techniques for driving, and Arizona traffic laws. To pay the fine or request a hearing, locate information for your specific Arizona Court. If you received a civil traffic moving violation in Arizona, you may be eligible to take an AZ defensive driving class so that you can get the violation dismissed; this means that the violation and points associated with the violation will not appear on your AZ driving record. If you ARE eligible for Arizona online traffic school, the benefits are great. The violation charge will be dismissed. Your insurance rates will not increase. You will polish your knowledge on Arizona traffic laws and become a better and more defensive driver. The citation issued to you is not related to a violation in connection to a collision that involved serious injury or death of a person. You received an eligible violation in Arizona but live in another state, you may attend an Arizona defensive driving school. Review the list of Arizona certified defensive driving schools. Select an AZ Supreme Court approved school and choose the best Arizona online traffic school for you. Register with an AZ traffic school online as soon as possible so you will be able to take the course at your own pace and complete it at least seven (7) days prior to your court arraignment date indicated on your ticket. Submit identity verification/eligibility documents to the Arizona online traffic school. d) Course payment which includes course fee, court diversion fee, state fee, and state surcharge fee. All online AZ online traffic schools report your completion electronically to the court on your behalf. You will receive a certificate of completion for your records.